Well done to Iñaki, whose quality 'What's Going On in This Picture?' 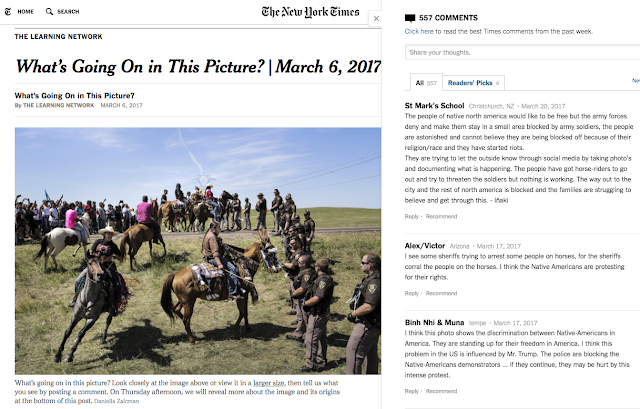 response made it into the New York Times comments section. Way to go, Iñaki! Anyone in Waka Hourua can participate in our What's Going On in This Picture? challenge through our Waka Hourua Google Classroom.